More than 100 tour operators turned out to at a recent major road show in Japan organised by the Abu Dhabi Tourism & Culture Authority (TCA Abu Dhabi) offering updates on tour options in the UAE capital. A total of 11 Abu Dhabi tourism players explained the latest the destination has to offer in terms of new resorts, tour options, exhibition and conference incentives and golf opportunities. The road show saw the Japanese arm of Amway, a global leader in health and beauty, choosing Abu Dhabi for a mega incentive trip to reward 100 of its top selling agents in 2015. “With direct flights to Abu Dhabi and an intriguing mix of culture and modern-day attractions, the destination fulfilled our requirements of an exciting adventure to recognise and further incentivise our agents,” said Yoshiro Nihei, manager, Company Event Department, Amway Japan. “We were also honoured to receive the UAE Ambassador to Japan, Saeed Ali Youssef Al Nowais who outlined the many synergies between Abu Dhabi and Japan – particularly the love of culture shared by both – and he pointed out Abu Dhabi’s readiness to welcome Japanese tourists with a range of destination offerings,” said Mubarak Al Nuaimi, director Promotions & International Offices, Abu Dhabi Tourism & Culture Authority (TCA Abu Dhabi). Abu Dhabi's tourism industry is looking to push the destination further up the Far Eastern traveller’s agenda, for both stop-over and point-to-point business, and is tailoring product to suit the sector’s specific needs. Destination Management Company Arabian Adventures, which operates a Japanese language Abu Dhabi city tour three days a week, will increase to five days a week from October and introduce more tours with Japanese guides. 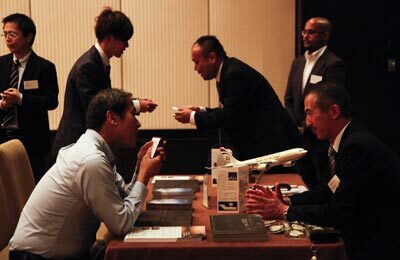 Many stakeholders say they are working on product packaging for the Japanese traveller following the road show, particularly targeting the stop-over market. “Yas Island, which is in an easy 10 minute drive from Abu Dhabi International Airport is ideally suited to satisfy stop-over demand with its Ferrari World Abu Dhabi, Yas Waterworld, Yas Links and Yas Beach products,” said Al Nuaimi. More Japanese travellers than ever are choosing to stay in Abu Dhabi with 5,499 Japanese checking into the emirate’s hotels in the first five months of this year – a 15 per cent increase on the same period last year.